Every major publication that covers tech technology jumped on this story yesterday. 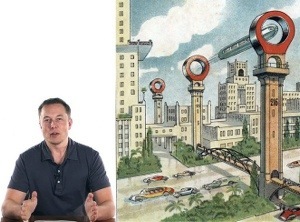 Elon Musk, co-founder of PayPal and chairman of Tesla Motors, tweeted that he will publish the Hyperloop alpha design by August 12th. Musk is referring to his new type of train that he claims can travel like “a puck does on an air hockey table.” I talked about the hybrid train in an earlier DigiDame post when I profiled Musk. 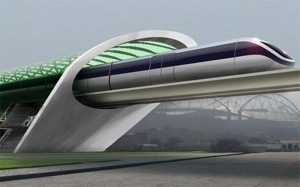 The Hyperloop, Musk claims, is a hybrid between a train and a plane. The mission is to make the trip between San Francisco and Los Angeles in 30 minutes, which is an average speed of approximately 800 miles per hour. It takes six hours by car and one-hour-and-15 minutes by airplane. 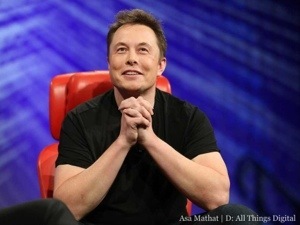 In a recent interview with AllthingsD, Musk said that the proposed costs of his Hyperloop are $6 billion. Right now, the state of California has plans to build a much slower train for $60 billion. Many California residents are rooting for Musk, while industry members question his sanity over this project. I’ll bet on Musk, even though it may take another five years plus to put the first shovel in the ground. 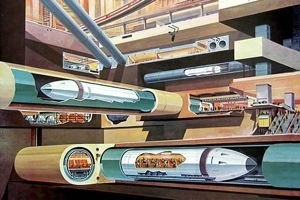 This entry was posted in digital, senior lifestyle, tech and tagged Elon Musk, Hyperloop by loiswhitman. Bookmark the permalink.